When talking about stick foundations, thick and cakey make-up immediately comes to mind. 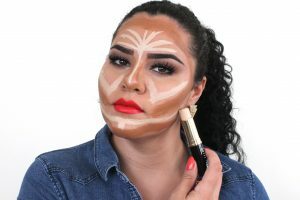 Though they are often used for heavy duty make-up, like for photoshoots and theatre acts, more and more cosmetic brands are reformulating their products to suit the needs of everyday make-up wearers. Today’s generation of stick foundations guarantee to provide all day full-coverage, minus the creasing and caking. Incorporating this product to your make-up routine may just unlock many benefits. Here are some of our favourite reasons why we think your should try giving these products a go. Stick foundations are particularly made compact, unlike liquid foundations which are in aqueous form. The density and pigmentation of the product even allows it to double as a concealer during those days when you don’t feel like going full glam. You can get similar coverage as your favourite liquid foundation with lesser amount of product—think four swipes instead of one full pump to cover the whole face. Unless you need heavy-duty make-up that will provide full coverage whole day, you just need light, quick swipes across your T-zone and cheeks, and you are ready to blend. Stick foundations are life savers for those who are always on the rush in the morning. 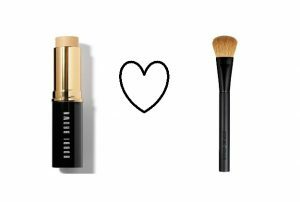 Use a beauty sponge instead of a brush or your hand to help melt the foundation into the skin, giving the make-up an airbrushed finish that’s less prone to caking. Liquid and cream foundations are not the best products to use for mid-day touch ups. They are often contained in glass containers, which make them less travel friendly. Neither are they the ideal products to layer on a face that’s already set with powder. However, stick foundations layer beautifully and are easy to carry for touch-ups on the go. They also come in plastic twist containers, so it’s quite rare you will run the risk of breaking your stick foundation. Stick foundations have formerly had bad reputation. While it may remind you of unpleasant memories of backstage make-up back in the days, do not shrug off trying the latest releases available in the market today. Many drugstore and high end brands have released their own versions of stick foundations, so you’re sure to find one that will suit your skin type and shade and the type of finish you want in order to achieve a more natural make-up look.